Hi, my name is Jeanine and I love bright seasonal food that’s very often finished with a squeeze of lemon. Hence the name. I do most of the cooking around here and my husband Jack is my #1 taste-tester. Together, we photograph our recipes from our home in Chicago, IL. 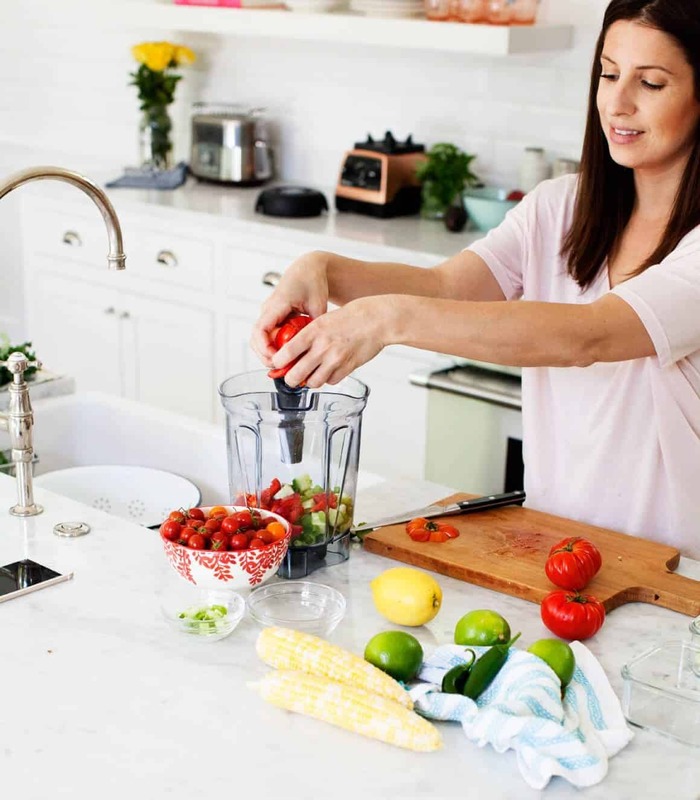 We started this blog in 2011 and have since been featured in Food & Wine, Food 52, Refinery29, SELF Magazine, and Oprah Magazine(! ), among others. Love & Lemons was named Readers Choice Best Cooking Blog by Saveur Magazine in 2014 and won an Saveur Editor’s Choice award in 2016. Also – our book is out! 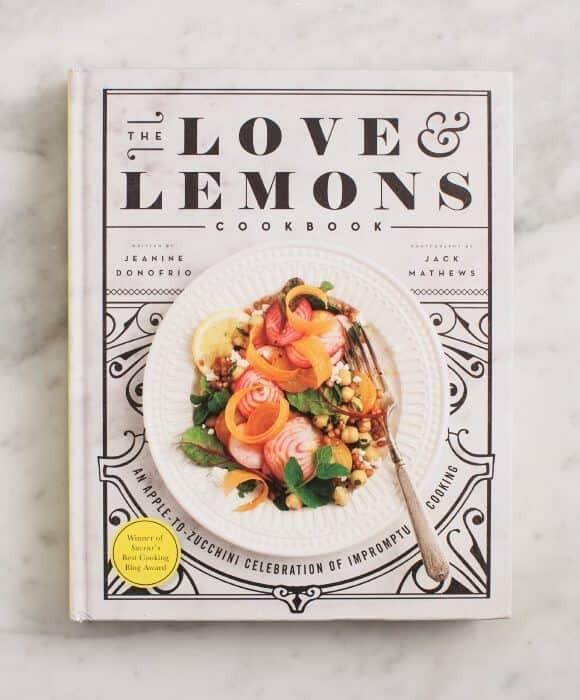 The New York Times described the book as “happiness in itself tossed in every bowl.” Bon Appétit said it was “One of the loveliest cookbooks we’ve ever seen.” Read more about The Love & Lemons Cookbook, here. – We recently re-located from Austin, TX to my hometown of Chicago. – We are travel addicts, and our recipes are often inspired by those experiences. – Our favorite places to travel to are Italy and Japan. update: France! – Jack doesn’t often cook, but he’s a master of molten chocolate cakes. – We both hate olives I’m ok with them now, Jack isn’t convinced. – Jack used to make video games and I used to be a graphic designer – now we blog full time! – We are owned by 2 cute, yet very opinionated, Shiba Inus.